Nylon P clips for fixing cable, convoluted sleeving, pipes, hoses, components etc. Dimension A is the inside diameter of the clip when it is closed. 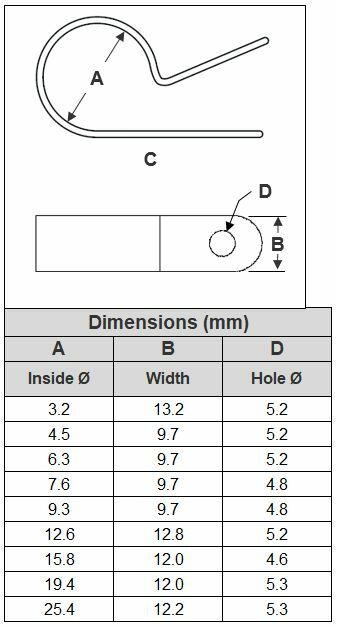 Please note that dimensions are approximate. Available in various sizes and sold in packs of 10. Not a lot to say. Recommended.